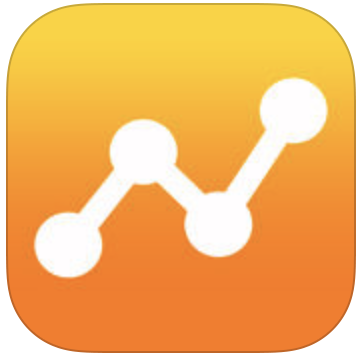 Symptom Tracker by TracknShare, is the most powerful symptom tracker app on the Apple App Store. This is a unique health app – its fully customizable and comes with the most powerful graphs for understanding how things are related. Doctors on the HealthTap network especially recommend it as a pain tracker app. Users can set up their own chronic pain tracker and symptom tracker items, each level of a severity scale, for example, has its own images, labels and weights. With TracknShare you can track exactly what matters to you. Easily share your actions, diet, behavior, and health outcomes as analyzable spreadsheets with your team. Rearrange and customize these screens and their items, or add your own. .. “This is cross-referencing at work, resulting in better lifestyle design. Rather than trying to fight old habits, which usually is not effective in the long run, we look for smart tweaks that work and don’t hurt,” he says. There’s a New Year’s resolution for us: Before working hard on making ourselves better, we might begin simply by knowing ourselves a little bit better. Heiss stresses that three things which guided the design of his apps were the ability to highly customize what patients tracked, to provide powerful graphing options to identify patterns over time, and the ability to share data via external tools such as Excel, increasing the physician’s ability to use the data in a meaningful way. .. The app has to be customizable when it comes to measurement scale. Depending on the type of question, I should be able to log data using either Boolean (yes/no), ordinal (e.g., not-much/somewhat/.. /very much,), continuous (e.g., weight or cost), categorical (e.g., cardio type: stationary bike, elliptical or treadmill), or n-point Likert scale (e.g., 7-point scale). In other words, the app should be able to handle the mix of variables of various measurement types. The app has to offer data portability. I should be able to export data in “csv” or other common format, any time I want, so I can analyze and manipulate it myself. Sorry, but showing me only those pretty charts and trend lines simply won’t do. And remember: that’s my data. I should not pay to access it. The app has to be truly mobile. That is, it should be able to work in an offline mode, without wireless or WiFi signal (e.g., on subway), at least at the moment of the data entry. If I want a web app, I will use my computer. I have been dealing with several chronic health issues, and wanted a convenient way to track a broad spectrum of symptoms, treatments, physical therapy, and other lifestyle factors. I had bought about 4-5 different apps for that purpose before I found this one, and my search was finally over. It is wonderfully customizable, and allows me to record (lots!) of data quickly on a daily basis. Other apps were less intuitive. I found that they either were not flexible/detailed enough to track the information I need, or were so detailed that they required too much time and energy to actually enter data regularly–especially since the reason I am tracking this information is because I have very limited amounts of time and energy! This app has really helped me to identify patterns and triggers, and prioritize the best ways to support my health. I have not fully figured out the best way to export data, but am confident I will. This is easily the best app that I found. All in all–this was what I was looking for! I’ve tried 3-4 mood tracking apps before this one and none really fit my needs. My Dr. has his own chart/categories he wants me to use, but I find the app easier. I was able to add & change things to to track exactly what I need, then I just transfer it all over. It’s allowed me to chart the most consistently and accurately in years. I use this daily to track my health and it’s great when I see the doc cause then he can see exactly what’s happening with my condition on a day-to-day basis. Highly recommend! I’ve been using TrackNShare for over 2 years. I’ve been a mostly satisfied customer, but some idiosyncrasies frustrated me and until recently I’ve only given begrudging recommendations. With this update they really hit it out of the park, and at this point I don’t have any major annoyances. I love the counter, I love how they simplified all the number types. The only qualm I have is that the order of many of the fields when you select they’ve changed the order so the default is now most positive instead of most negative. I’m big into quantified self, and changing how you measure seems like it could affect the data I collect. What is my favorite part?It’s so easy to collect all the data I need.Categories really help when collecting large #’s of itemsGraphs are good, but I do my own more advanced data analysis. Absolutely, positively LOVE the export and options to export. Most tools don’t do this, or do a really poor job. Cool tip: To export easily, since the tool supports having questions in multiple categories, you can create a “For export” category and then add the category for each question you want to export. Now you only need to export one category to get everything. What could be improved: They’ve alluded to it, but multi-device support. Right now I only use it on my iPhone and export/import if I want it on my iPad. I don’t have an easy way to use both right now, but I’m hoping it will come. My only other suggestion is hopefully you all are thinking about how the Apple Watch may be part of this. I’m getting one, and I’d love to be able to use that to track data. This app is exactly what I wanted. It offers flexibility with as much detail as you want. It’s reliable and consistent.I’m very happy with this purchase. I have downloaded about 30 different habit tracking apps, and this is one of my few favorite ones that I keep using daily because:- I can correlate how one habit influences another – I can rate each habit occurrence – I can leave a note on each habit occurrence I just wish the “notes” would be integrated nicer. It is very hard and annoying to type several sentences in a one line text box! Couldn’t it auto grow in height, or expand to a full screen when entered!? It would also be very, very nice and helpful to not truncate the notes and wrap them in the calendar view of a day. I guess I’m asking for the “memo” type to be more integrated with all the other types where I can rate.